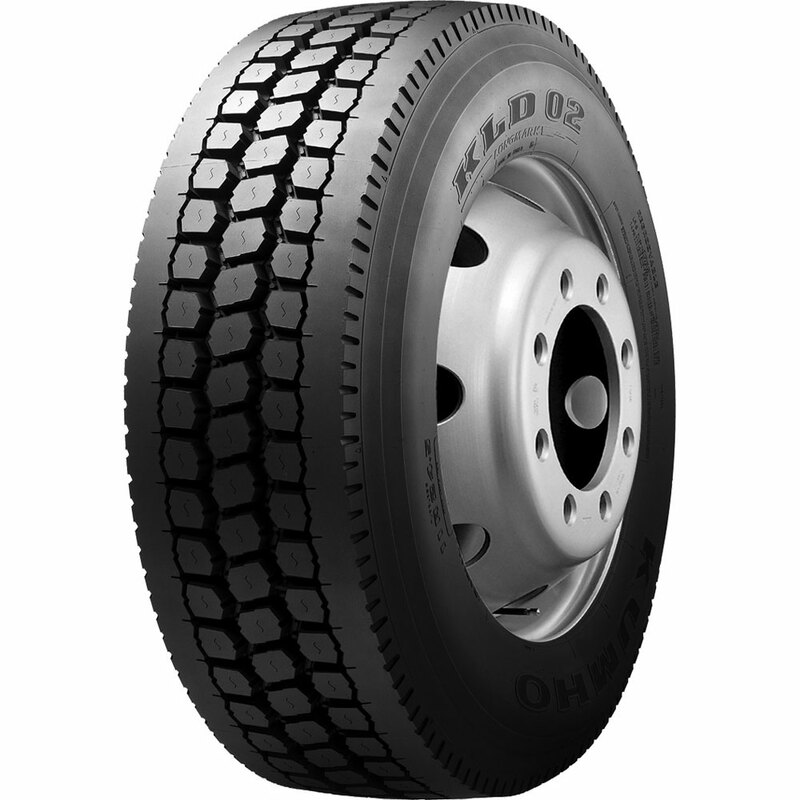 The all new, extra deep 30/32" KLD02 is the latest edition to the Kumho Premium Drive line-up. The KLD02 is the perfect choice for line haul and regional drive applications. The tough durable casing and compound molded in a rib and lug design aim at maximum removal mileage. Rib/lug pattern molded at 30/32" provides excellent traction in wet and dry conditions. Closed shoulder ribs with intermediate support tread blocks promote traction and wear resistance. Aggressive center rib buttons provide excellent traction. Stone ejectors in the tread block area prevent stone holding to promote even wear and casing durability for retreading. Advanced casing profile improves contact pressure for increased high-speed stability and removal mileage. Improved compound and Integrated Component Optimization System (ICOS) technology improve removal mileage and performance.